What happened to the Washington Mutual Bank? Washington Mutual Bank, affectionately referred to as WaMu for decades, used to be the largest savings and loan financial institution in the United States until its spectacular collapse that occurred at the height of the financial crisis in 2008. Ironically, the bank was no longer a mutual company from 1983 onward because of its decision to demutualize and evolve into a publically traded company. Before Washington Mutual Bank suddenly failed without warning, at the end of June 2008 it commanded a substantial asset balance of $307 billion and numbered 2,239 retail bank branches covering 15 different states. The bank had 43,198 employees and 4,932 automated teller machines. Deposit liabilities totaled $188.3 billion plus $82.9 billion in loans to the Federal Home Loan Bank. Its subordinated debt amounted to $7.8 billion. 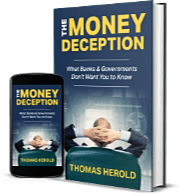 The bank’s loan book included $118.9 billion in assets of single family home loans, comprised of $52.9 billion of the toxic Option ARM adjustable rate mortgages, $16 billion of subprime mortgage loans, and $53.4 billion in HELOC Home Equity Lines of Credit. It commanded $10.6 billion in credit card receivables from its ninth largest credit card business operation in the nation, obtained when it purchased credit card provider Providian. The bank was servicing on behalf of other banks and its own loan book a total bank loan portfolio amounting to $689.7 billion, $442.7 billion of which belonged to other smaller banks. At the time right before its sudden collapse, WaMu counted $11.6 billion in non-performing loan assets, of which $3.23 billion were ARMs and another $3 billion were subprime mortgage loans. To all appearances, this was a strong balance sheet by most measures. Yet on the fateful day of Thursday, September 25 of that same year 2008, the Office of Thrift Supervision OTS of the United States suddenly seized Washington Mutual Bank without prior warning. It immediately put the massive financial institution into receivership of the FDIC Federal Deposit Insurance Corporation. The OTS felt compelled to take such a drastic measure because of the ongoing nine day bank run on WaMu that amounted to a staggering series of withdrawals totaling $16.7 billion of its deposits, or nine percent of total deposits which the bank had as of June 30, 2008. After some consultation, the FDIC elected to sell off the bank assets and subsidiaries, less its equity claims and unsecured debts, to rival commercial bank JP Morgan Chase for only $1.9 billion in cash. As it turned out later, JP Morgan Chase had been secretly plotting an acquisition of WaMu under a covert operation they internally nicknamed Project West. In no time at all, the thousands of Washington Mutual Bank branches became rebranded as Chase branches, and all by the conclusion of 2009. Considering the assets under management, WaMu’s receivership and shuttering proved to be the absolute biggest bank failure in the history of American finances. Just before being seized, the bank represented the sixth biggest financial institution within the U.S. The SEC filing of 2007 showed that the holding company of WaMu possessed assets totaling a staggering $327.9 billion. The history of Washington Mutual Bank was relatively quiet from its founding in Seattle, Washington in 1889 through 1983. That year 1983, the bank began an unprecedented and aggressive expansion all around the U.S. in multiple areas of financial company acquisitions on an incredible scale. This began with the purchase of brokerage firm Murphey Favre and the bank’s decision to demutualize. By 1989, the bank had doubled its assets in around five plus years. WaMu went on to acquire such nationally recognized brands as PNC Mortgage, Fleet Mortgage, Homeside Lending, American Savings Bank, Great Western Bank, and Providian. By August of 2006, the bank had adopted the loving moniker of WaMu in everything but legal situations, a nick name it carried all the way to its sudden and tragic demise. 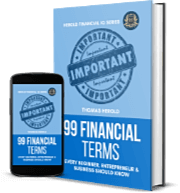 The term 'Washington Mutual Bank' is included in the Economics edition of the Financial Dictionary. You can get your copy on amazon in Kindle or Paperback version. See more details here.